Prepare to be dazzled by the Irregular Choice Rainbow Thunder bag. 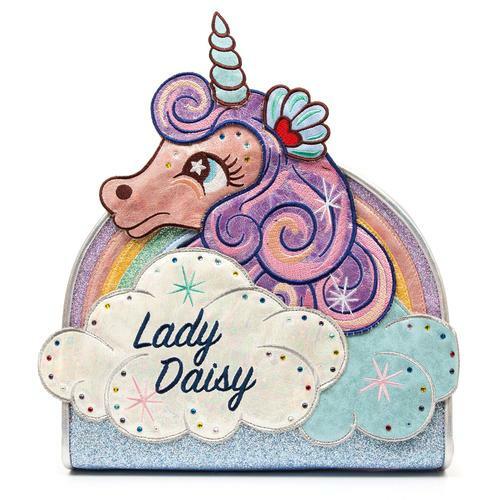 Laden with glorious appliqué motifs set against a quirky backing of 50s pop culture doodles, this handbag may be small but it packs a spectacular punch. The shimmering blue and silver lightning bolt is layered over a pearly faux snakeskin cloud and sparkling rainbow. The back, edges and handle catch the light in an iridescent patent pink material. If this wasn't enough, the removable handle is crafted from the same material and layered with metallic silver. Finishing this resplendent treat off perfectly, shining stars glimmer on the outer edges. 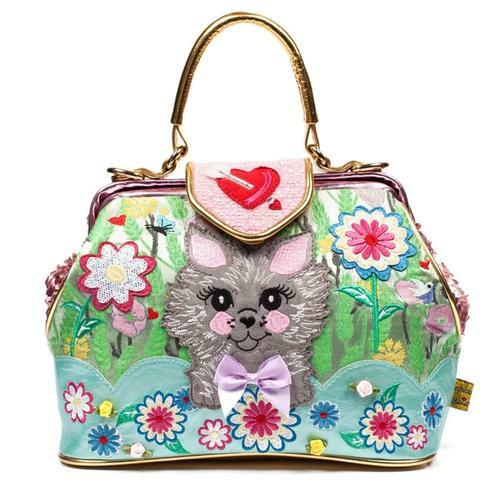 The best things really do come in small packages, as the Irregular Choice Rainbow Thunder bag demonstrates. 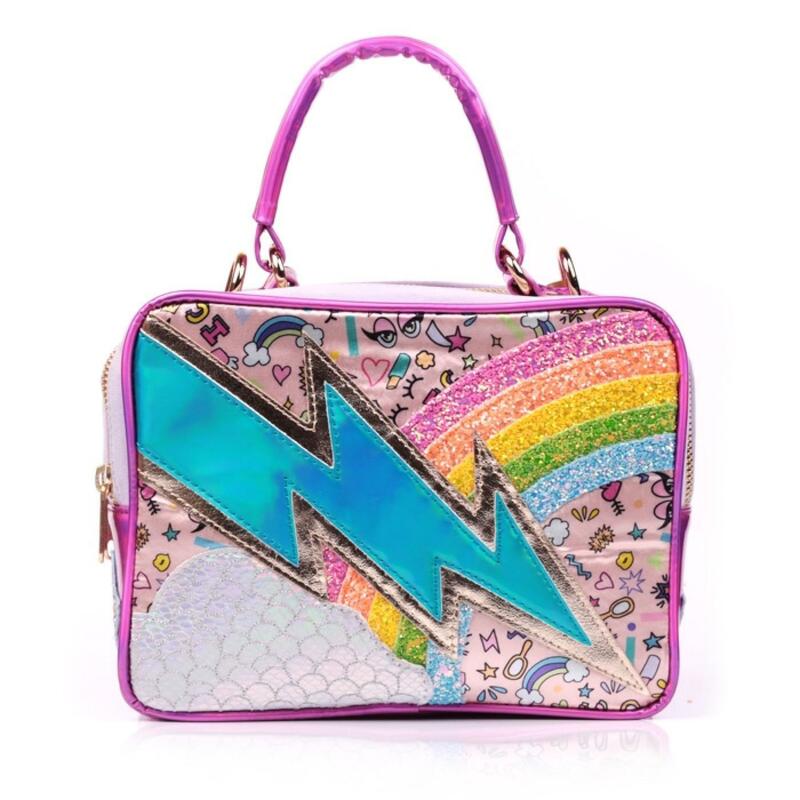 Rainbow Thunder bag in pink from Irregular Choice. Glitter rainbow, metallic lightning bolt and faux snakeskin cloud appliqué details. 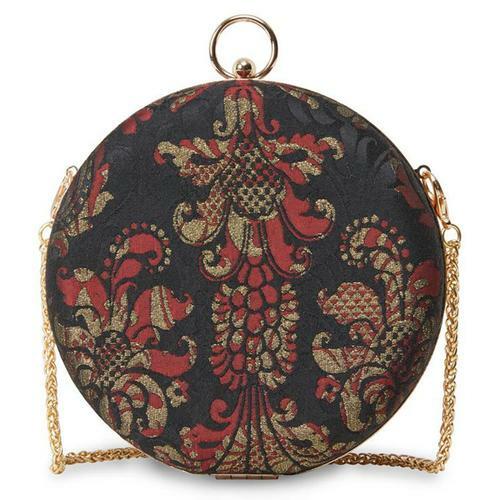 Fully lined with an inside zipper compartment. Gold bag rings and gold zip closure. Silver glitter stars on the sides. 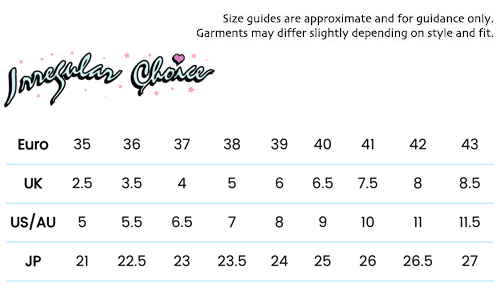 Irregular Choice tab on the sides. Detachable and reversible longer strap. 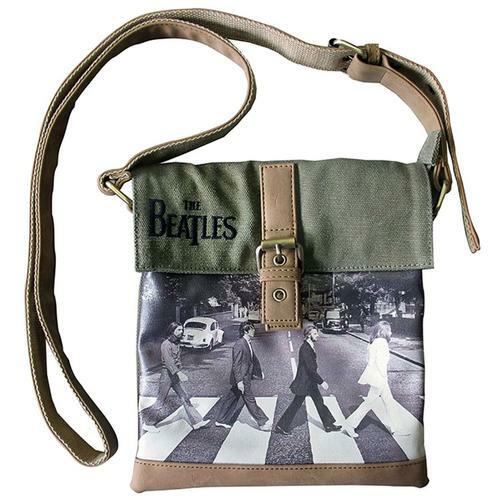 SKU: B133-02 Rainbow Thunder Bag Pink.